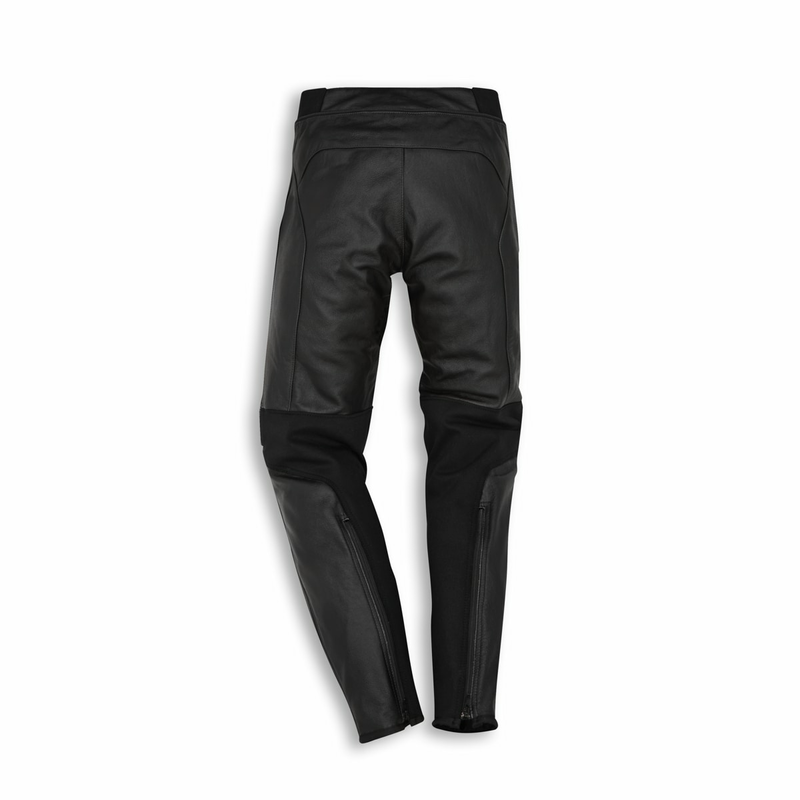 The Company C3 trousers, produced by Dainese exclusively for Ducati, have an essential and elegant look and are designed for those who ride their bikes every day. 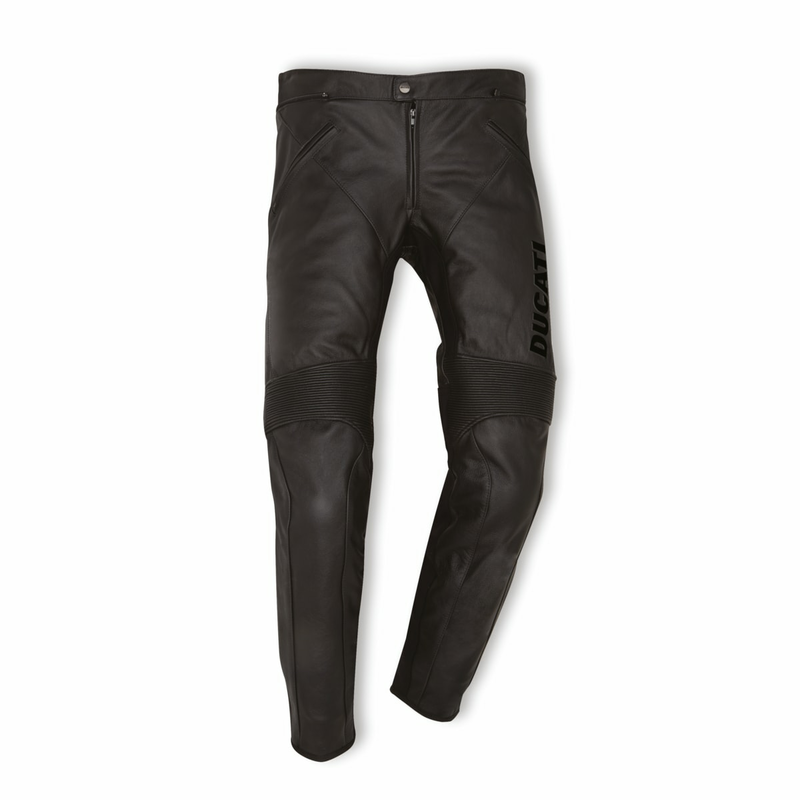 Available in men's and women's versions, the Company C3 come with shin and knee protectors, soft reinforcements in the hips, and are fully CE certified. 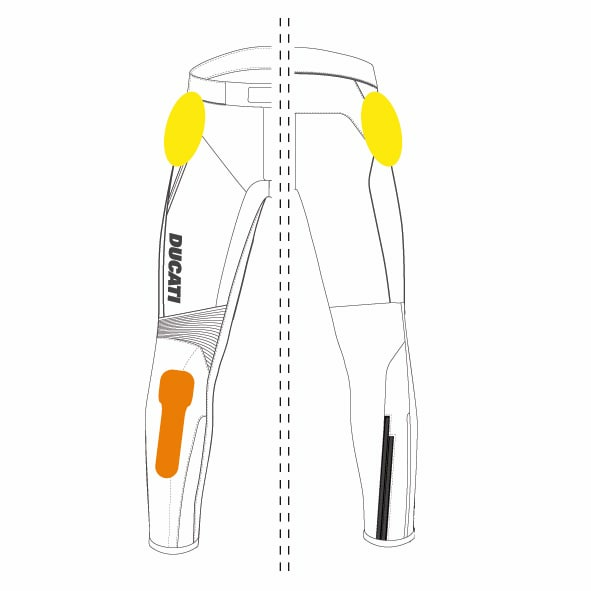 Comfort is guaranteed by the many elastic inserts on the calf, crotch, and hips, and by the practical zip that fastens them securely to any jacket of the Ducati collection equipped with a zip.